Storms struck the morning before and the evening after meet #3 (results here), but a 5-hour break in the weather made it possible to squeeze in all events of the meet. All meet results are available here. Recognized by the IRS as a 501(c)3 non-profit organization, The Columbus League welcomes donations. To donate through, use the button at right. 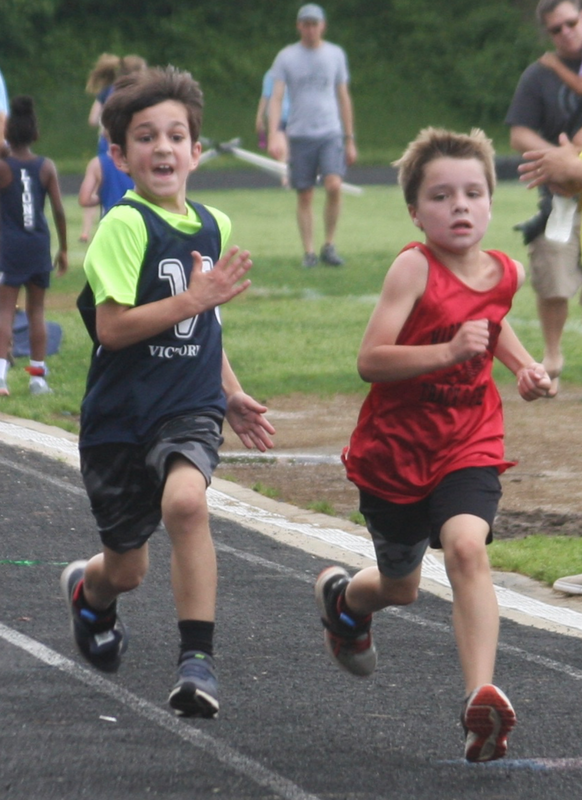 Two athletes sprint to the finish.